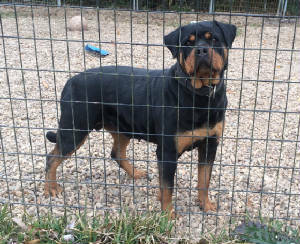 We Have Rottweiler Puppies !!! Please Contact Us for Availbale Puppies. CLICK THE DOGS PICTURE OR NAME TO SEE MORE OF THEM. 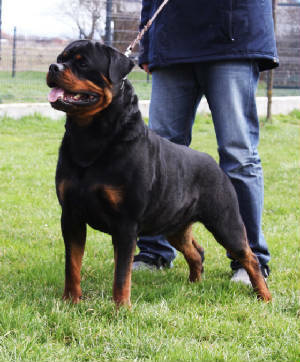 In every breeding we select the best Rottweiler Stud and Rottweiler Female to produce puppies that will have great temperment, drive, bone substance, great conformation and working ability. We have some of the greatest German, Eurpoean, and Yugoslavian lines there are. 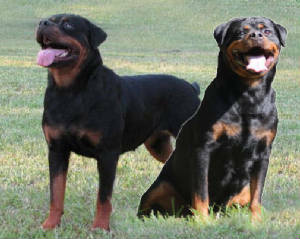 We want to produce Rottweiler Puppies who possess beauty, intelligence, health, and working ability. 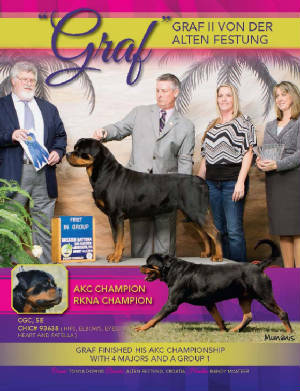 We follow the FCI Standard in our breeding program. 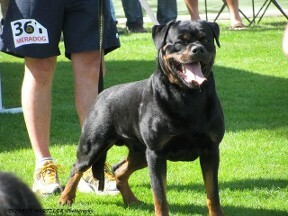 Every Rottweiler we keep is selected to be our next Rottweiler kennel builder. 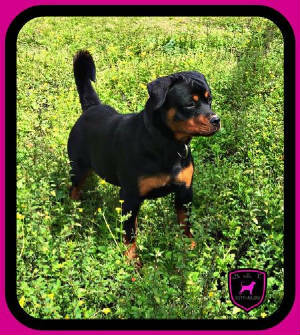 Check out our Rottweiler puppies. Call or email us and let us help you get the puppy you are looking for. Puppy pictures below taken at 5 1/2 weeks! Click the picture to view it Larger. 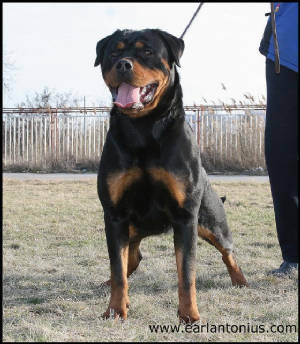 When you purchase A Rottweiler Puppy from us at Von der Brunhilde you are getting great temperament, great health, and trainability. 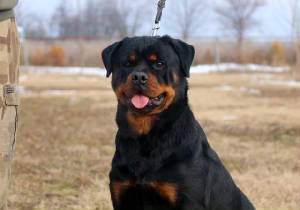 Parents and Grandparents of your Rottweiler Puppy for many generations are trained and temperament tested, they have been to dog shows, and have titles to prove it. They all have health clearances: heart, eyes, elbows hips, etc... and are clear of any genetic diseases. 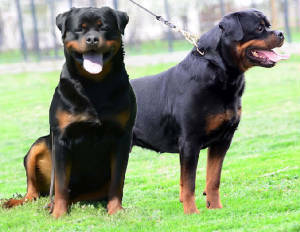 They are to breed Standard which keeps the Rottweiler Looking like THE ROTTWEILER. 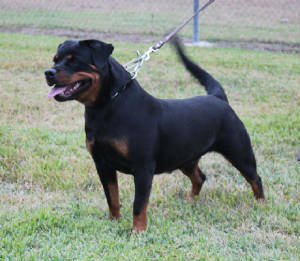 The Standard maintains structure and temperament and makes the rottweiler breed what it is. 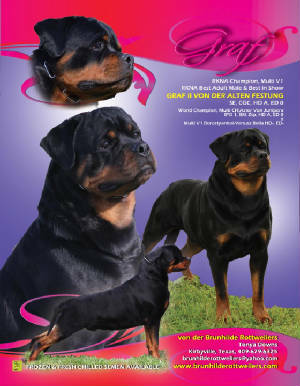 You also get a knowledgable breeder in your breed. I will always answer any questions you may have day or night. Please wherever you purchase a puppy please ensure that the breeder has done there health clearances to ensure a healthy and stable puppy. 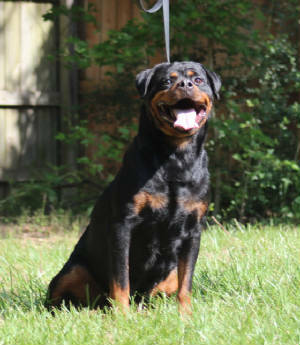 If you decide to purchase that 400 or 500 dollar puppy from a backyard breeder please be aware: you are purchasing unknown temperament, and health problems that neither you or this "breeder" may or may not know about. We do not breed to profit, we breed because we love the breed and love to show and think that others should have the opportunity to own a genetically healthy puppy. 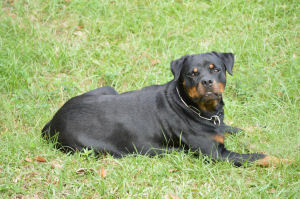 At the end of they day, we all LOVE our dogs and they become part of our family so we all should want to start with a step in the right direction for our pets.